A gulf has opened up, within the Western world, between those who believe that religion ought to have a role in determining the political ends pursued by a nation, and those who have done everything in their power to restrain the encroachments of the faithful. Mark Lilla, a humanities professor at Columbia University, names this divide the Great Separation, and he’s convinced that we heirs of this rift have taken the victories of secularism for granted, even as the forces of religion are once more asserting their influence. If we conceive of God as the shaper of our cosmos, which displays his purposes, then the legitimate exercise of political authority might very well depend on understanding those purposes. God’s intentions themselves need no justification, since he is the last court of appeal. If we could justify him, we would need only the arguments validating his actions. In this line of reasoning, God, by creating, has revealed something man cannot fully know on his own. This revelation then becomes the source of his authority, over nature and over us. We are still like children when it comes to thinking about modern political life, whose experimental nature we prefer not to contemplate. Instead, we tell ourselves stories about how our big world came to be and why it is destined to persist. These are legends about the course of history, full of grand terms to describe the process supposedly at work – modernization, secularization, democratization, the “disenchantment of the world,” “history as the story of liberty,” and countless others. These are fairy tales of our time. Whether they are recounted in epic mode by those satisfied with the present, or in tragic mode by those nostalgic for Eden, they serve the same function in our intellectual culture that tales of witches and wizards do in our children’s imaginations: they make the world legible, they reassure us of its irrevocability, and they relieve us of responsibility for maintaining it. To disabuse us of our ignorance, Lilla gives us a whirlwind tour of what he calls “political theology,” leading up to the publication of Thomas Hobbes’ Leviathan, which he regards as the foundational text of modern secular politics. Hobbes attributed man’s religious instincts to an understandable fear born from ignorance, and his Leviathan performed a philosophical sleight of hand that left his religious compatriots aghast: rather than use god to explain the world man lives in, Hobbes used that same world, so full of pain and suffering, to explain our attachment to god. After Hobbes, there could be no return to a naive, pre-Separation world, and Lilla demonstrates that even those philosophers who criticized him – from Spinoza and Locke to Hume, Rousseau and Kant – struggled to find a role for god and religion that did not end by either usurping politics or sanctifying them. In the book’s last section, Lilla focuses his attention not on America – where the experiment of the Great Separation can be said to have culminated – but on Germany in the late 19th and early 20th century, where Lilla traces a line of messianic thinking that culminates, he argues, in both Nazism and Communism. “The river separating political philosophy and political theology is narrow and deep,” he tells us; “those who try to ride the waters will be swept away by spiritual forces beyond their control.” Indeed. 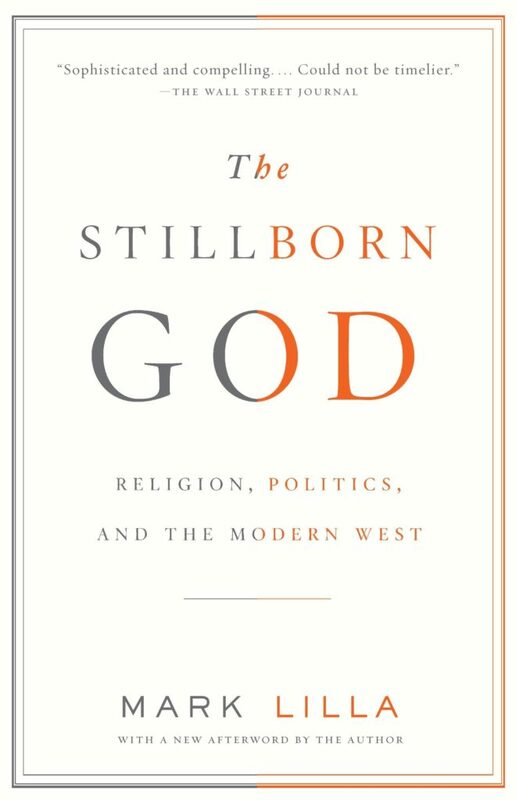 The Stillborn God is not just a reminder of the contingency of contemporary Western political thought, however; it is also, implicitly, a warning about the unique nature of our political heritage, and an expression of skepticism about how easily it can be replicated elsewhere, or among people without that same lineage of thought. If, as Lilla posits, our successful separation of church and state has been dependent “on a wholly unique experience with Protestant sectarianism in the seventeenth and eighteenth centuries,” how easily will newcomers to our countries, from dramatically different traditions, adapt themselves to our political thought? This is a book haunted by the prospect of a return to the religious wars that embroiled Europe for centuries – a prospect that, twenty years ago, would have seemed obscene to the average Westerner. But as Lilla’s own journalistic coverage of emerging European political parties reveals, religion is once more poised to play a greater part in our political destiny. We may yet end up paying a steep price for our naive complacency.